We spend a lot of time in this space talking about land use ordinances. But what about the tools deployed in the event of a violation of those ordinances? State law provides that municipal and county governments may avail of different remedies in the enforcement of local ordinances, including (and our focus) land use ordinances. NCGS 160A-365, 160A-175 (as to municipalities), NCGS 153A-123, 153A-324 (as to counties). The three main remedies we often see employed, sometimes in conjunction with each other, are injunctive relief, civil fines, and criminal proceedings. In this post, we’ll discuss each in turn. First, injunctive relief is always available to the local government for a violation of a land use ordinance, even if not expressly provided for in the local ordinance. See New Hanover County v. Pleasant, 59 N.C. App. 644 (1982). Most commonly, injunctive relief is used to prohibit the completion of work that violates an ordinance or to cease a use that violates an ordinance. It is also possible for a court order to compel an act in order to comply with a land use ordinance, the so-called affirmative injunction. Violation of an injunctive order carries contempt possibilities, whether civil or criminal. Unlike civil fines and criminal proceedings, the very nature of injunctive relief limits the local appeal remedies available to the alleged violator; accordingly, ordinance interpretation and enforcement issues are almost certain to be fought in State court. Second, civil fines are available where the local ordinance enables the fine or penalty and only in the amounts specified within the local ordinance; there is not a State-wide standard. The fine amount cannot exceed an amount reasonably related to the amount of harm caused by the violation and the local government’s cost of remediation. Moreover, if the ordinance provides for a process before the assessment of civil fines and penalties can be assessed, then that process must be followed; an evidentiary hearing is not required unless provided for in the local ordinances. However, a civil penalty is appealable to the local board of adjustment, just as any adverse land use ordinance interpretation, which is an evidentiary proceeding. Also, an appeal will automatically stay the ordinance enforcement as a matter of State law. In the event a fine is assessed but not paid – and an appeal is not timely made or is otherwise lost – the local government may pursue civil action to collect the debt; in such a lawsuit because the board of adjustment appeal avenue has closed, there are no defenses to the fine. Third, any “violation of a city [or county] ordinance is a misdemeanor or infraction as provided by G.S. 14-4”, unless the board of county commissioners or municipal council shall otherwise provide. NCGS 153A-123 (as to counties), 160A-175 (as to municipalities). NCGS 14-4 sets the penalty for violation of a local ordinance as a Class 3 misdemeanor. Practically, local prosecutors are oftentimes too (and understandably) busy with violent offenses to press the pursuit of land use violations; this gives the alleged violator the opportunity to pursue appeals or favorable ordinance interpretations as defenses, if available. Finally, attorney fees are generally not recoverable by a municipality or county in the enforcement of a land use ordinance. However, that is not a two-way street. If a local government is determined to have exceeded its powers or abused its discretion, in enforcing the ordinance, attorney fees may be awarded against the local government. As noted, by State law, any “violation of a city [or county] ordinance is a misdemeanor or infraction as provided by G.S. 14-4”, unless the board of county commissioners or municipal council shall otherwise provide. NCGS 153A-123 (as to counties), 160A-175 (as to municipalities). 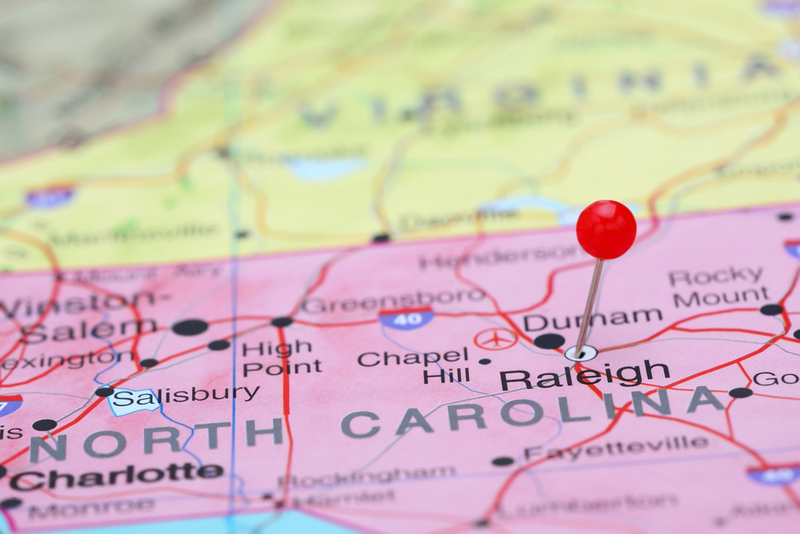 Well, in June 2018, the North Carolina General Assembly adopted Session Law 2018-69, which is entitled, “An Act to Assist the Criminal Law Recodification Working Group”. That law provides, in pertinent part, “Every county, city, town, or metropolitan sewerage district that has enacted an ordinance punishable pursuant to G.S. 14-4(a) shall create a list of applicable ordinances with a description of the conduct subject to criminal punishment in each ordinance … [and submit] no later than December 1, 2018.” Of course, as noted in NCGS 160A-175 and NCGS 153A-123, any ordinance violation “is a misdemeanor or infraction as provided by G.S. 14-4” unless the local governing board so provides. So, basically, compliance with Session Law 2018-69 requires local government submission of “a list of” all ordinances, because all local ordinances are punishable “as provided by G.S. 14-4”. That’s a big paper dump for the State government, I’d think.